I've beaten up on Starbucks before (here and here) for their lackluster effort to get people to use reusable cups. 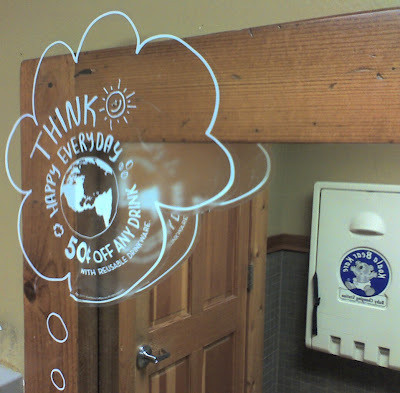 On a recent visit to Caribou Coffee, I encountered this sign in their bathroom. 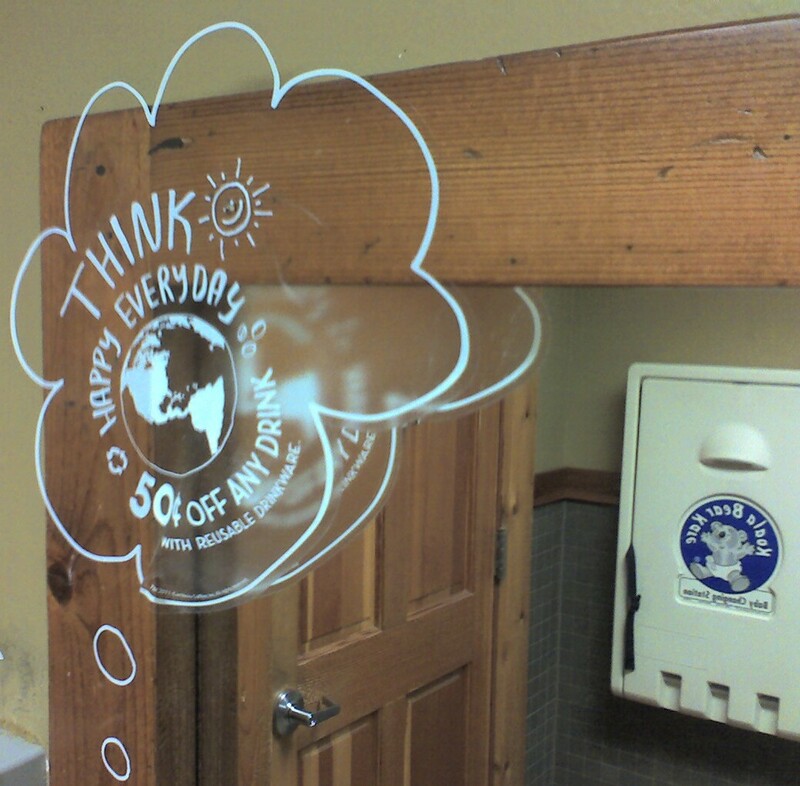 The sign says: "Think Happy Everyday. 50 cents off any drink with reusable drinkware." Starbucks offers only a dime for a reusable cup, and they hardly market it. It's posted in the smallest font possible on their wall menus if it appears at all.